A global obsession if you will - simply sliding the blocks into place, building structures and keeping it together under pressure has always been a fun past time. 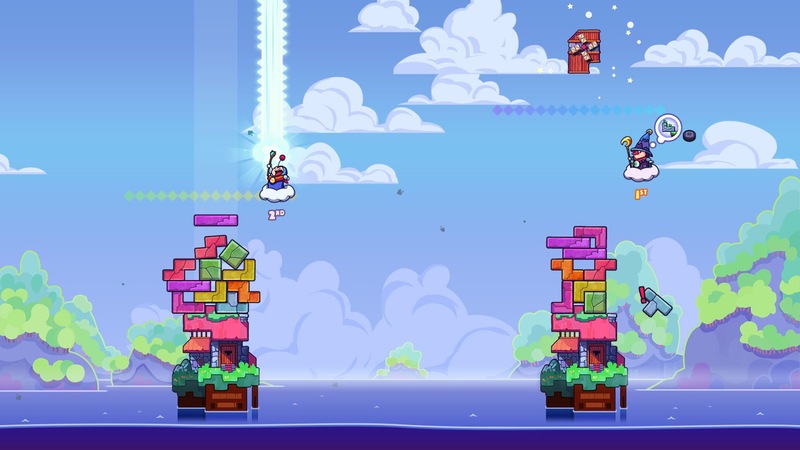 Well, Weirdbeard Games has realised that and has crafted this mash up of Tetris and also bizarrely, the graphics and gruntings of a Rayman game. Brick stacking has never been anything less than passably entertaining and occasionally addictive and Weirdbeard's embraced that in Tricky Towers. All you have to do is stack a series of bricks, a la Tetris and ensure they don't fall over, wiping out both your structure and your life. Seems easy right? But that's not all of it - using magic and the wizards you are in charge of can help sway the game your way. The game's MO is very simple - it rotates between different challenges which unlock further challenges. 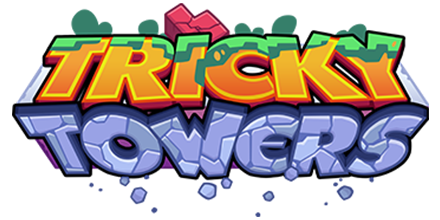 Stack bricks over a certain level to win, rotate bricks into a puzzle that's in front of you or make sure you stack all of the bricks that are thrown your way without losing three times - there's little but variations on a theme in play here. However, it's surprising how quickly you become frustrated at the end of a level and dive back in again at the start. Physics play a part in the game as well - one simple mistake of stacking and it's all over. There are spells to help bind the blocks but they don't always help save the day given that if they fall, they fall. Multiplayer is yet to work properly on the game because it's not fully launched yet as this was early access review - though one imagines it will follow a similar pattern of taking one friends in competition levels. Local co-op is there, and there are options to pay for more packs of wizards; there are also plenty of levels to play through but this is very much bite sized fun or game for family afternoon on the couch together at a local level. 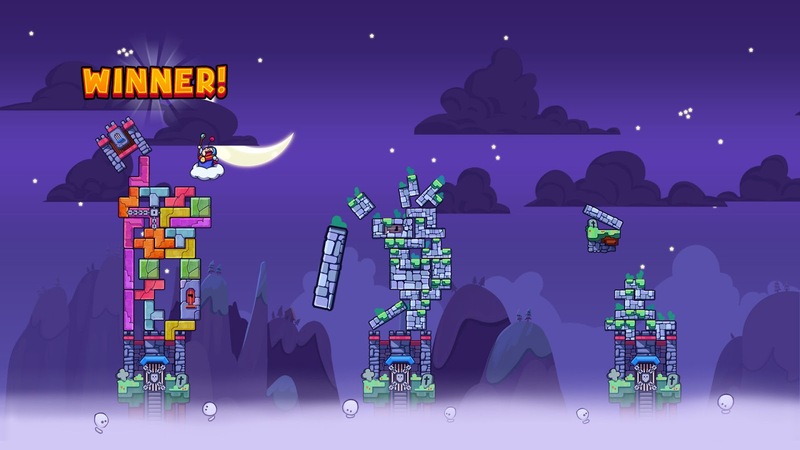 All in all, Tricky Towers' cartoony cutesy style and simplistic game mechanic make it eminently disposable but hollowly entertaining as well.